Giles Head is the Chief Executive Officer and Lead Consultant for Head Squared Aquatics across the UK and abroad. He is also responsible for running our Oxfordshire pond Consultancy branch. 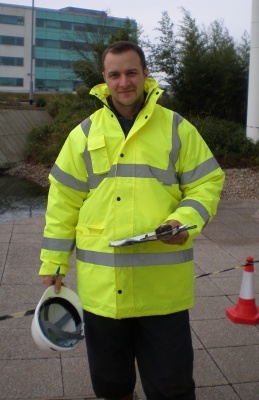 Giles graduated with a BSc Hons in International Disaster Engineering and Management from Coventry University and the Fire Service College, before leaving and working in New Zealand within sales for one year. On his return he worked as a Home Office Emergency Planning Officer within local authority. Having decided to increase his experience in engineering and construction, he worked as a contract section engineer within civil engineering for one of the largest construction firms in the UK. This post was within the water industry and helped increase his knowledge of large filtration systems and their construction. After this, a job beckoned, still within construction but as a Regional Manager of an engineering contracting company. This job incorporated working closely with major clients and helping create solutions for their projects. This very much helped with the legal side of working with contractors on a large scale. Deciding that his experience was enough to work within the Koi Industry he applied for a dream job working in sales at Evolution Aqua - the company that developed such innovative products as the Nexus, Answer and Eazy. After 6 months in this post he became Head of International Sales and Marketing (working with 52 countries), before launching Head Squared Aquatics. This job also incorporated working within aquaculture, the intensive growth of fish for human food chain within small recirculation systems. Other projects included providing a filtration system for a large aquarium at a major UK zoo attraction. Mr Head also ran the special projects section and had some inclusion in design of new products and testing. 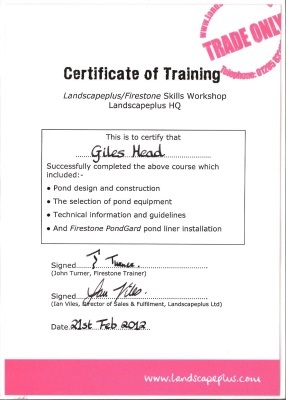 His industry experience, product experience and overall understanding of filtration and ponds make him an excellent ally to anyone wishing to build, change or redevelop a pond or water feature. Why don't you contact Head Squared and make use of this experience for yourself. Plus he does enjoy a good joke if you have any! Giles Head has been a passionate Koi-keeper for many years. Having travelled to many countries to see Koi shows and product launches, he brings a wealth of experience along with his passion, and this passion is clear to all those who work with him. Giles enjoys rugby, squash, scuba-diving and motor-cycling in his spare time.